Even though we’re a very long ways from fall, I knew I had to have these pants when I saw them. 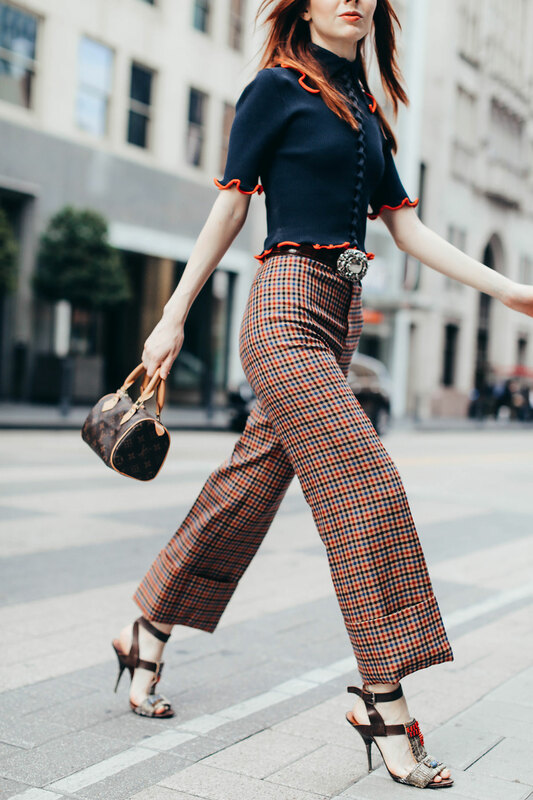 I love that preppy 70’s Charlie Girl look, with fitted tweedy bottoms and smart high collared blouses. These pants are timeless while still being a bit cheeky. When it gets cooler I cannot wait to wear these pants with a camel turtleneck and cognac ankle boots. 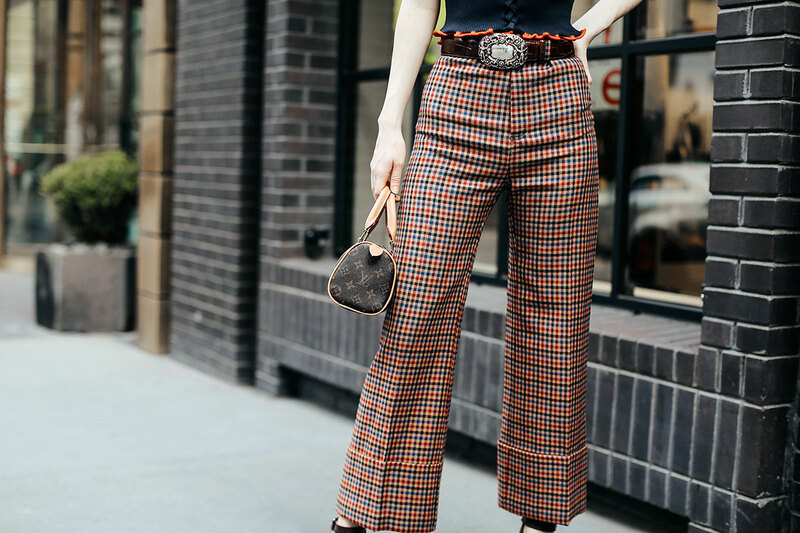 Wearing Sea NYC cuffed check pants with an Opening Ceremony ribbed sweater, Dries Van Noten heels, a vintage belt, and vintage Louis Vuitton mini speedy bag.